We would like to extend a big congratulations to the the winners of the CACLC's Bishop A.J. Quinn Memorial Award and the Faithful Servant Award. The purpose of these awards are to recognize two people in Lorain County that have shown a sincere commitment to social justice, the poor and marginalized, and the Catholic Action Commission. 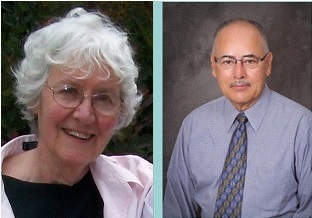 Deacon Lou and Diane will be honored at the 25th Annual Peace & Justice Dinner and Celebration. Please come out to support our award winners. See reservation form below. Advertise your business, parish, or note of support to the CACLC in our dinner program booklet. We are offering business card, quarter page, half page, and full page ads. Each level of donation will be honored in our dinner program booklet. Please donate items for our Pick N Choose Raffle and Silent Auction! We appreciate your support. 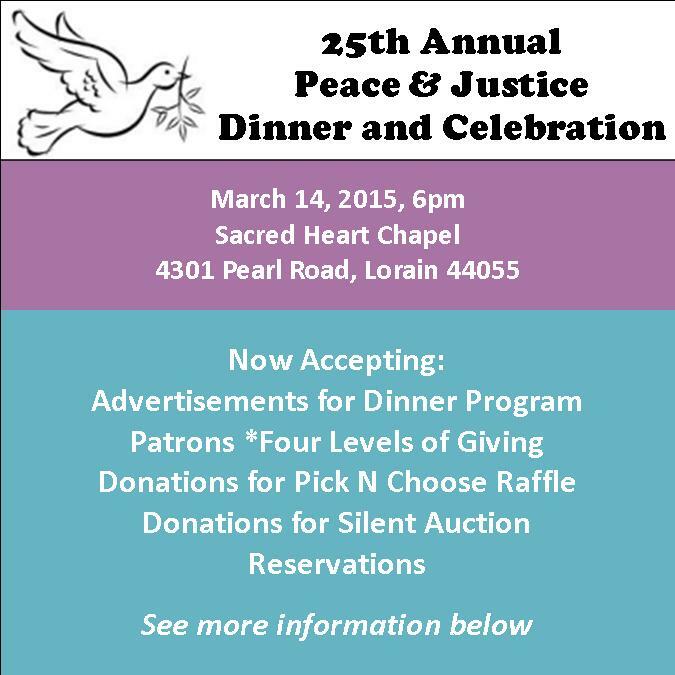 We want to celebrate all the good charity and justice work each parish in Lorain County has done at our 25th Annual Peace & Justice Dinner and Celebration! Ushers greet people at Masses and other liturgical celebrations. As a minister of hospitality, the ushers will also distribute worship books and bulletins. They will also assist to seat late arrivals. At the presribed time the ushers are responsible for taking up the collection and conclude their ministry for the day by tallying the collection after Mass. A lay representative is appointed by the Pastor to attend a monthly meeting of the Oberlin Area Cooperating Ministries (OACM). The OACM sponsors a multi-faith Thanksgiving service, Weekly Lenten services, and the Summer Peace Camp for Kids among other programs. Volunteers may occasionally substitute for the respresentative at meetings and help with events. Rite for Christian Initiation of Adults (RCIA) is a process for becoming a Roman Catholic for adults who have not been baptized or have been baptized in a non-Catholic religion. This process takes a number of months.